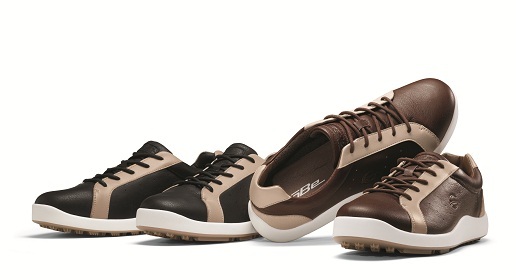 Announced at January’s PGAMerchandise Show, the new GoBe line of golf shoes will be in stores starting in July with three styles for men and two for women. The shoes all feature a low profile European last, a water resistant upper, and moisture wicking liner to keep the foot cool and dry. The Treadwear outsole is made of durable and supportive Grade A TPU and rather than conventional cleats traction is provided by Talon™ 5-point deep stars in a pattern combined with vertical and horizontal traction bars. Men will have a choice of three casual saddle styles carrying a suggested retail of $159 while the women’s line has two styles with suggested retail of $139.